Commercial vehicle (CV) major Ashok Leyland had a below expectation performance for the quarter ending September on most parameters. However, the road ahead is expected to be better, with analysts believing it should do well in the second half of 2017-18. Net sales at Rs 6,047 crore (up 31 per cent year-on-year), operating profit at Rs 609 crore (up 13.5 per cent) and net profit at Rs 334 crore (up 13.5 per cent) were below the Bloomberg consensus estimates of Rs 6,178 crore, Rs 680 crore and Rs 384 crore, respectively. The management said this was satisfactory in the current market condition. Demonetisation, shift to BS-IV emission norms and the new goods and services tax (GST) affected industry volumes in the past few quarters. Volumes rebounded in the September quarter (Q2) of the current financial year and Leyland's volumes grew 22 per cent over a year to 26,964 units. Its best quarter in terms of volume but operational performance took a hit due to unusual industry trends. Industry volumes grew 20 per cent in Q2. Leyland's domestic truck market share grew to 33.1 per cent, from 31.9 per cent, and volumes grew to 23,593 units, up 36 per cent. In buses, it dropped to 38.1 per cent, from 39.5 per cent in the year-ago quarter. However, operating profit margin dropped to 10.1 per cent, from 11.6 per cent a year before. Yet, its margin has been in double-digits for ten sequential quarters and Leyland is one of the most profitable of CV companies, asserted Gopal Mahadevan, the firm's chief financial officer. He adds that the impact on operating margin was not because of inefficiency but due to high discounts in the market and a three to four per cent increase in commodity prices that could not be passed on to customers. Also, the year-ago quarter had Rs 50 crore income from the high-margin defence business. "We do not want to buy market share and so we stayed away from discounts and stayed away from businesses where it does not make economic sense," he said. Discount on a CV is Rs 2.25-2.75 lakh on average. In 2013 and 2014, the industry relied on these to optimise capacity utilisation, since demand was only 2-250,000 units. Today, it is 320,000-350,000 units. 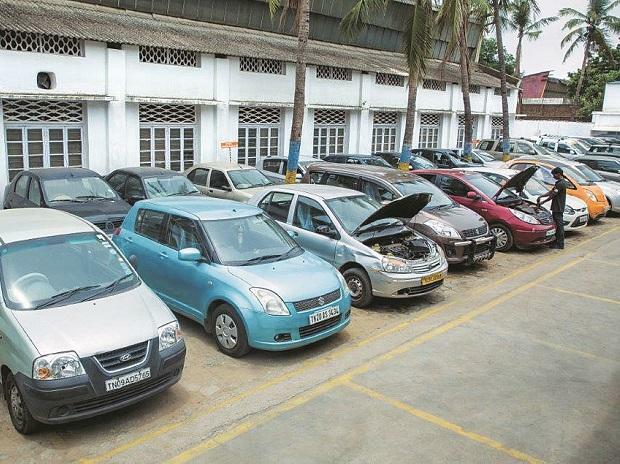 Leyland also sent Rs 175-crore exports to Senegal at a very high margin a year before; this did not take place in Q2. Export during the year-ago quarter added 250 basis points to margins. The company hopes it would see good results on this front in the next two quarters. In Q2, export grew 39 per cent. Another factor that impacted margins was that once the goods and services tax (GST) was implemented, the tax benefits enjoyed by its unit at Pantnagar (Uttarakhand) stopped. The outlook on this is not clear. Jinesh Gandhi from Motilal Oswal Securities said that the commodity cost inflation had also reflected in the company's raw material cost. Mahadevan expects industry volumes to pick up in the December quarter, while the March one could be flat due to pre-buying last year, ahead of the new emission standard being implemented (a high base effect). He expects margins to improve, as the company is working on a mix of products and volumes, he said. "At present, 10-12 per cent of revenue comes from export and the company expects at least a fourth to accrue from exports alone. While defence contributes around Rs 700 crore on a yearly basis, it is expected to grow by five to seven times in the medium term." The light CV business, including Nissan's which was taken over last December, reported positive profit before tax, marking a turnaround. These initiatives are key for the company as part of a de-risking strategy at a time when the domestic business is going through volatile times. 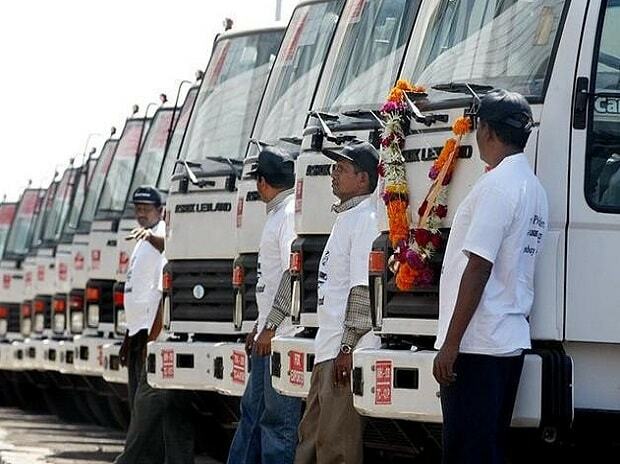 Leyland has plans to set aside a sum of around Rs 500-700 crore for capital expenditure in the next two to three years. Gaurang Shah of Geojit Financial Services said, "We have a positive coverage on Leyland. What worked out well was the merger of Hinduja Foundries with Leyland, a concern for the near term. Going forward, traction in terms of demand for CVs, the presence in defence and also launching of LCVs would throw in positivity over a longer period...this two per cent downward reaction in the stock is a knee-jerk reaction."